If you live anywhere near Oklahoma City, Edmond or Guthrie, and you are shopping for a new or preowned GMC Acadia, it will be well worth it to make a short drive to Vance GMC Cadillac Buick in Guthrie, Oklahoma. We will treat you like our small town neighbors with our big city inventory. 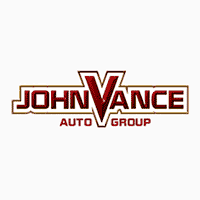 Vance Auto Group has been dedicated to serving Oklahomans for over thirty years, and we plan to continue that tradition for another thirty. Since we offer nine full service dealerships, we have a huge choice of preowned vehicles to select from. If you are looking for a brand new Acadia, our Buick dealership is a quick drive on I-35—ten minutes north of Edmond and 30 minutes north of downtown Oklahoma City in Guthrie, OK. The GMC Acadia blends comfort, style, purpose, safety and dependability for your next family SUV. It seats up to seven passengers or there are versatile combinations of folding down the seats to provide extra cargo space when you need to transport things. The Acadia can also haul up to 4,000 lb. It’s easy to get in and out of since the second row seats simply slide forward to allow access to the third row. Check out the extra Rear Seat Conveniences, ingenious storage, available Traction Select System, Keyless Open and Start, Power adjustable heated mirrors, and tons of connectivity. You’ll get 21 MPG in the city and 26 MPG on the highway. Drive with confident handling with the StabiliTrak system. The mid-size SUV GMC Acadia offers the latest in staying connected on the road with our 8-inch color touch screen Infotainment System, Rear Seat Reminder, Apple Car Play, Android Auto, built-in 4G LTE WiFi, Rear Vision Camera, and confident towing. Come find an Acadia that perfectly fits you and your family. Vance Auto is ready and waiting to serve you by helping you find the Acadia of your dreams in Guthrie, Oklahoma.